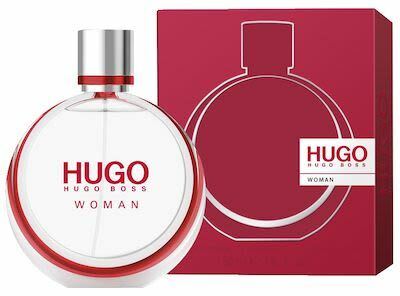 Hugo Woman is a fruity, floral fragrance with an unconventional, boyish twist, combining unexpected naturals and pioneering molecules. The scent creates a contrast of tones and sensations, fusing traditionally feminine and unexpected masculine notes to redefine the conventions of female fragrances to reflect Hugo's minimialist glamour. Top Note: Wet Moss - Apple - Cyclamen. Heart Note: Water - Hyacinth - Jasmine. Base Note: Sandalwood - Amber - Vanilla.